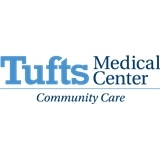 Tufts MC Community Care-Medford/Melrose OBGYN (Medford) - Book Appointment Online! Maryhelen is very knowledgeable and kind. I'm happy to have found her! Vicki was awesome! She was thorough And informative. She made me laugh and feel at ease. She answered all of my questions and really took the time to get to know me. It’s usually a nerve racking experience going to a new O.B but she made it very easy. I would highly recommend her !!! The wait time was very fast and prompt. She was thoughtful and thorough, really took the time to answer your questions. This was my first visit with Dr. Cho and it was wonderful. She was kind, understanding, informative, and made what is usually an awkward/uncomfortable appointment as quick and relaxing as possible!